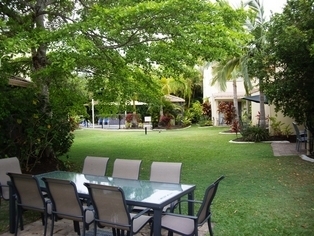 Noosa gardens Riverside Resort is set in the heart of the Noosa Distrct, we are across the road from Noosa lake and only 250m to the busy Noosa River with all the shopping and water sports you can handle. The famous Hasings St and main beach is a short bike ride or stroll with its cosmoplitan restaurants and national park. 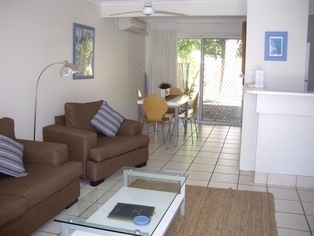 Noosa Gardens comprises of 21 townhouse type apartments set on almost a hectare of lawn and sub tropical gardens, the units are clean and are fully self contained. 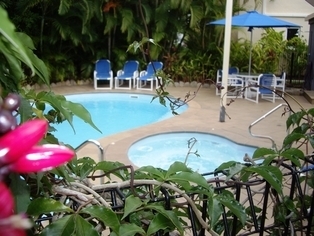 We have a heated pool, a childrens pool and a gas fired spa. 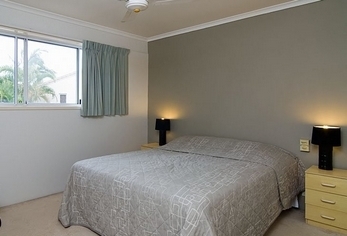 All apartments have a queen size bed and two single beds, two toilets and a bathroom upstairs. 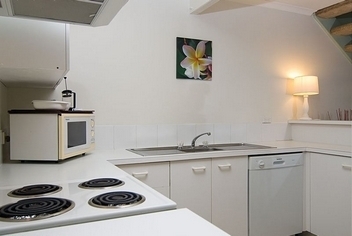 Full kitchen & laundry facilities. Sep lounge/dining area. Bedrooms and full bathroom upstairs - sep toilet downstairs. Rate for up to 4 people (linen supplied). 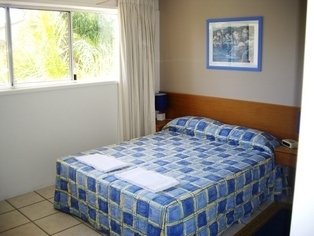 Max 2 extra guests - $35 per night. Early check in is dependant on availability. late check out is available for a fee of $25 until midday. under cover parking for 1 vehicle is available free of charge. We are 140 klm North of Brisbane you can hire a car or there are bus services several times daily. The sunshine coast aiport also has daily flights from most cities and is only 40 minutes by road.You may also hire a car or shuttle services run regularly. 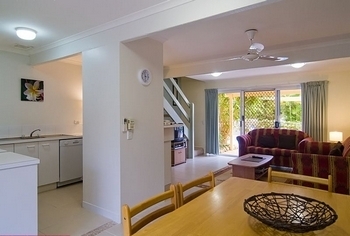 There is a train service to Nambour and then a bus service to Noosa. 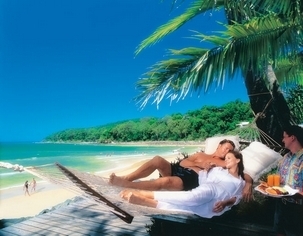 Noosa is famous for it's surfing, shopping, kite surfing, fishing, boating, sailing, restaurants and friendly people. 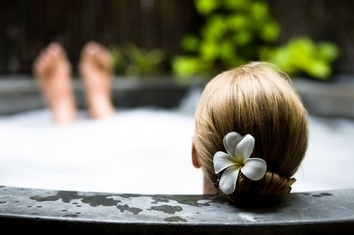 There are many tours and activities available which we can book ahead of your arrival to avoid disappointment. This is a free service but we recieve a small commission from the operaters.